An eye-catching poster has been designed to celebrate the Citizens’ Rail school trip from Lancashire, UK, to Aachen in Germany and Heerlen in the Netherlands. 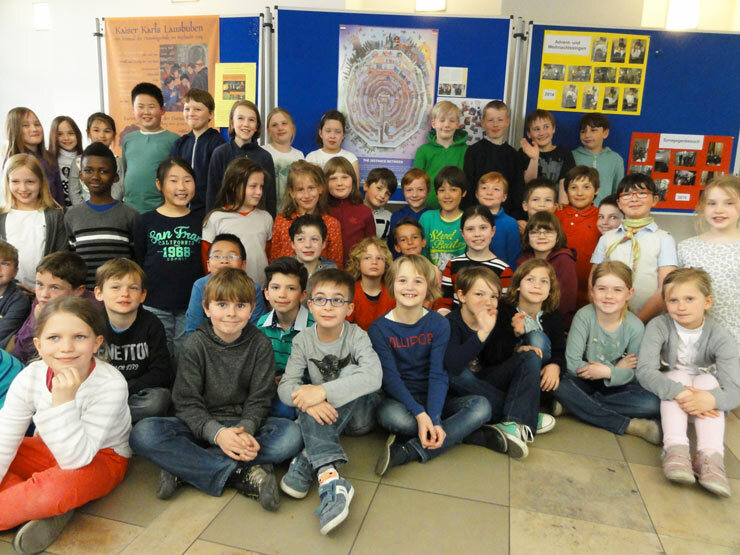 Every child from Padiham Green CE Primary School (pictured above) and Aachener Domsingschule (pictured below) who took part in the trip contributed to the artwork during their joint classroom session in Aachen. The poster takes the form of a finger labyrinth, and is entitled The Distance Between. 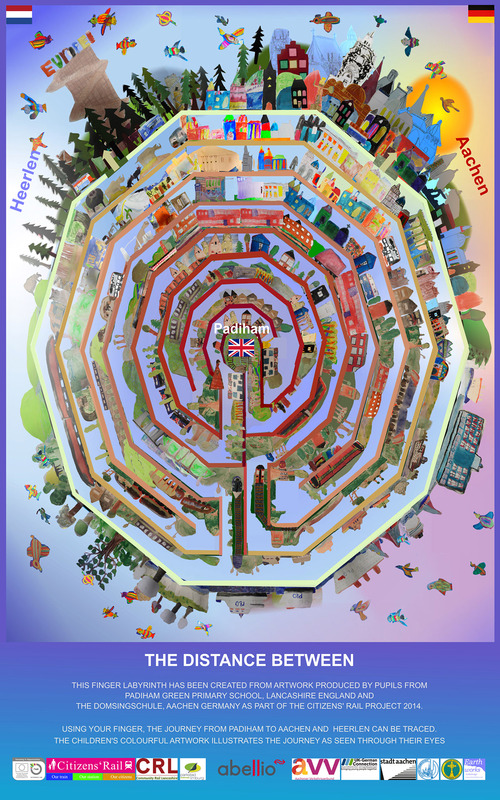 Using your finger, you can trace your journey from Padiham in the centre of the labyrinth to either Aachen or Heerlen on the outside. The poster was coordinated by artist Alastair Nicholson, who travelled with the Lancashire party and has contributed to many railway-related art projects with our partners Community Rail Lancashire. During their four-day stay in November 2014, the Padiham Green pupils received an official welcome at Aachen City Hall, singing lessons with their new Aachen school friends, scaled viewpoints where they could see three countries at once, and even visited the zoo. The trip was the children’s well-earned reward for delivering a fantastic presentation and warm welcome to Citizens’ Rail’s European partners during their meeting in Lancashire in July 2014. 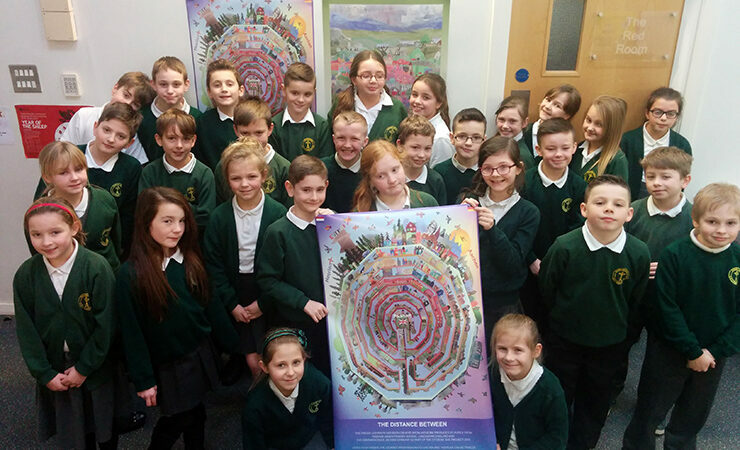 The children raised funds through various events at school to contribute towards the visit. Additional funding for the trip was provided by Citizens’ Rail, the DCRDF Fund, UK German Connection and Abellio.